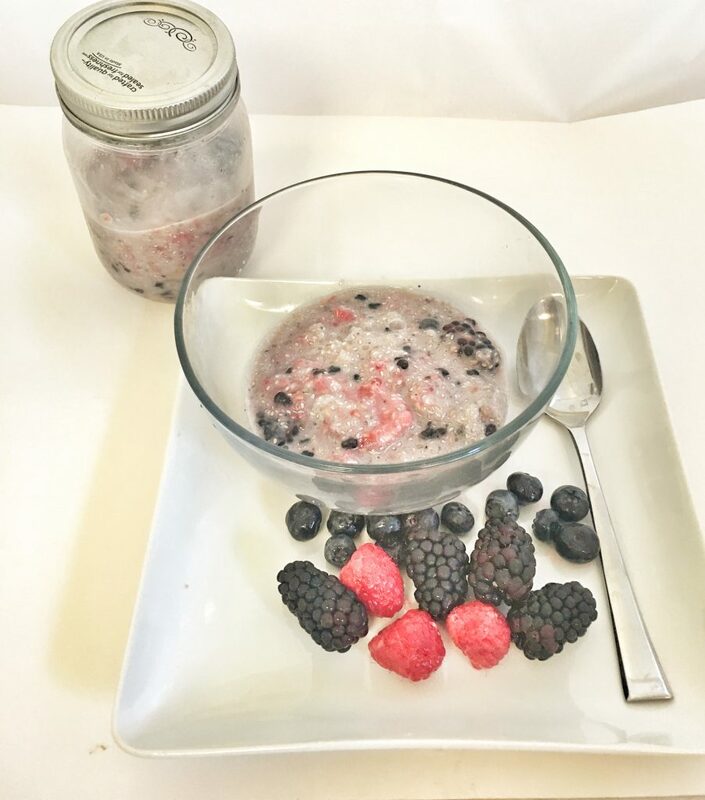 Chia Seed Pudding is a healthy dessert, snack or breakfast dish. The pudding can be made the night before to eat the following day. I’m getting ready to enter a 12-week health and fitness program with the No Excuse Moms group called the “Pot Challenge”. Everyone pays $25 and then based on weight loss and story they pick multiple winners across the country to get a piece of the “money pot”. In preparation for the challenge, I’m looking for new healthy recipes to eat when I’m craving sweets. Someone challenged me to try a Berry Chia Seed Pudding recipe, I was very skeptical but it is actually delicious. Now, it’s no ice cream, but it tastes quite satisfying when you know a serving only has a little over 200 calories and less than 12g of fat. 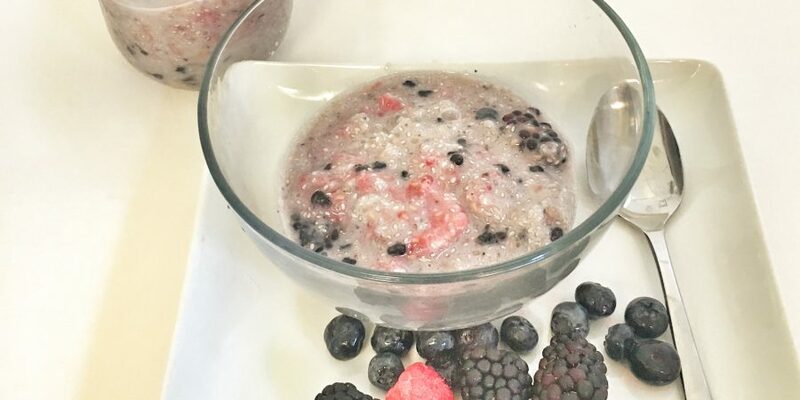 After posting a video of me making the recipe on Facebook, many people shared their favorite ways to eat the Chia Seed Pudding. Some people add nuts, or unsweetened cocoa powder, or vanilla. You can make this pudding your flavor of choice. It is gluten free and dairy free (vegan-friendly). I used Almond milk, but you can also use coconut milk, soy milk, etc. 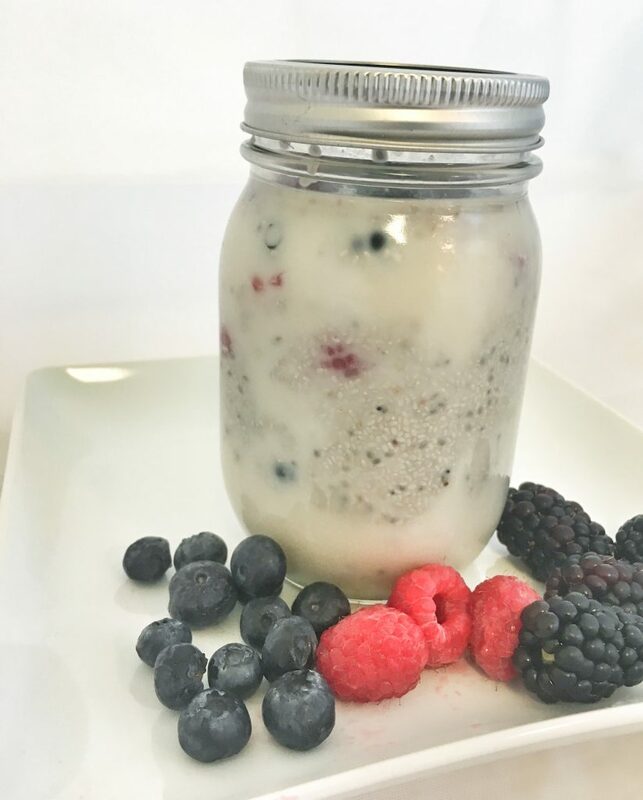 Chia Seed Pudding can be made very quickly but you have to make it several hours before you want to eat it. The pudding must sit in the fridge for at least 4 1/2 hours preferable overnight prior to eating. So make sure to make this dish ahead of time. You can make multiple jars to eat throughout the week or to share. 1 cup mixed berries. Raspberries, Blackberries, and Blueberries mashed up. Add all ingredients to a mason jar or a container with a lid. Let sit in the fridge for 2 hours then stir. 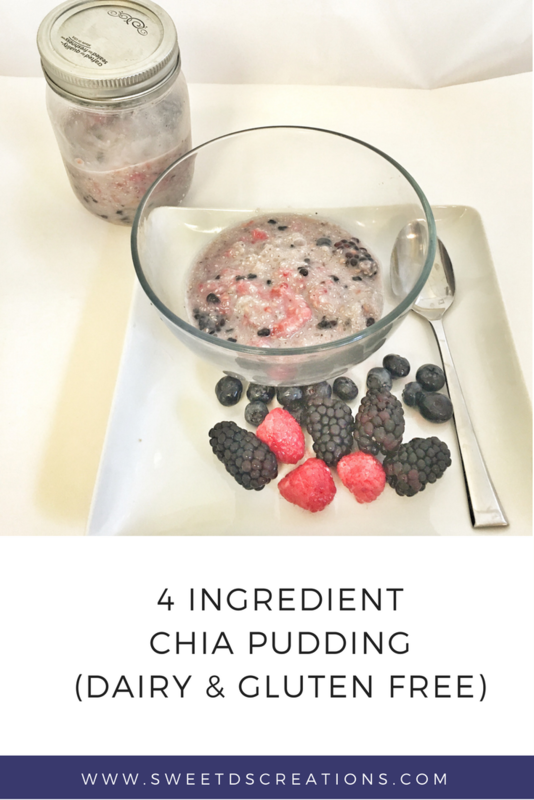 Let the Chia Seed Pudding sit in the fridge for at least 4 1/2 hours or overnight. 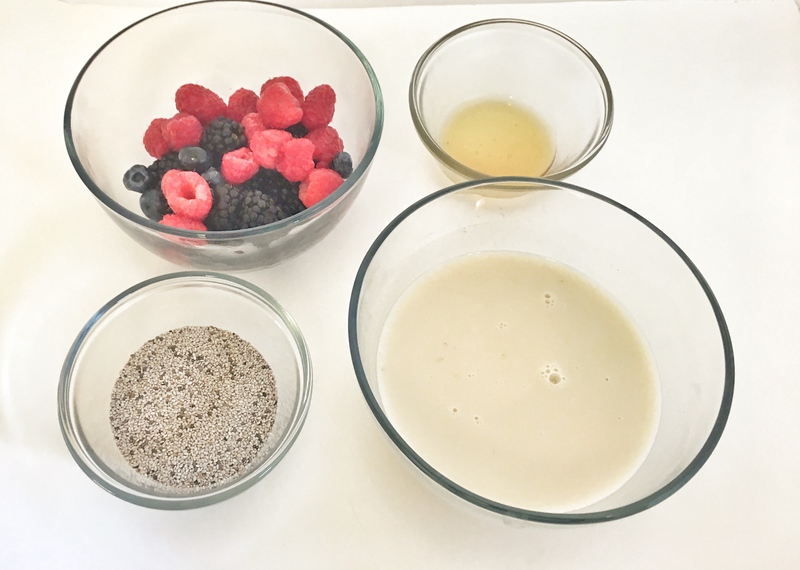 How do you make your Chia Seed Pudding? As mentioned above, you can make a chocolate pudding, vanilla pudding, a pudding with nuts and so on. Comment below with your favorite recipe. Wow, Wonderful post. I like your style. I’m a vegan myself.